Created for anyone sporting anything from 5 O’Clock shadow to a full on manly beard. Facial hair can feel dry and look dull and it can also trap odours. So washing with a proper shampoo will help keep you looking better than ever. Made with a special concoction of skin & hair conditioners mixed with anti-bacterial properties of tea tree oil will not only help ensure your beard is clean, soft and manageable, but will help avoid irritation and is soothing yo the skin. 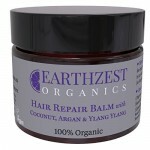 Suitable for all hair types, even sensitive ones. This grooming lotion is great for any kind of facial hair, from stubble to newfound beards to full on hipster beards. It contains menthol to help reduce itch and irritation in those early bristle stages 7 a unique blend of essentials oils of avocado, argan & jojoba oil – all recognised for their moisturising properties. Gentle enough for daily use to help care for the skin at the base of the beard, whilst helping to soften your beard. 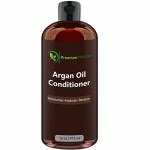 Blended from the finest natural ingredients to create a conditioning oil that is absorbed quickly to condition the hair & skin. light & non-greasy with a subtle, contempoary masculine fragrance. After washing your beardm apply a few drops into your hands and rub together. Work the oil thoroughly into your beard to leave it looking perfectly groomed & smelling great. ¦ No true hipster would ever be without a beard care kit. This kit has everything to keep you looking magnificent. ¦ 300ML Beard Shampoo helps keep beard hair clean, soft and manageable. Each bottle is finished with an easy to use pump cap. 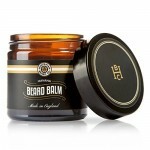 ¦ 300ML Beard Conditioner & Face Moisturiser helps keep beard hair soft & skin moisturised. Ideal for everyday use. ¦ 30ML Beard Oil is non greasy and easily absorbed. It has a subtle fragrance to help keep beard smelling fresh. ¦ This product has not been tested on animals – Suitable for Vegans.